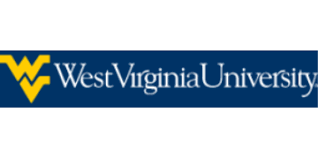 The widely used “LACE index,” which assesses a patient’s risk of hospital readmission, has a “blindspot” because it fails to consider whether patients are on Medicaid, West Virginia University researchers say. LACE stands for length of stay, acuity, comorbidity, and emergency department. To assess the predictive value of the index in West Virginia, the researchers compared 30-day readmission rates to the LACE index scores, insurance status, functional issues such as illiteracy and substance misuse, and other characteristics in all adult patients admitted between January 1, 2014 and December 31, 2015. The only LACE variable that correlated to increased readmission was comorbidities, but the correlation was not strong. Length of stay, being admitted through the ER, and visiting the ER frequently before admission had no significant effect. The factor that did have a significant relationship to readmission was insurance payer type, which the LACE index does not account for because it originated in Canada, where healthcare is publicly funded. Including insurance status in the LACE index might help providers in rural areas predict which patients are in the most danger of readmission, the authors say.